There’s no question that digital maps and smartphones have completely changed the world of navigation for everyone, whether tech enthusiast or someone less savvy with gadgets. Heck, our smartphones have remarkably precise geolocation capabilities and when coupled with sophisticated mapping systems like Apple Maps or Google Maps, it’s hard to imagine getting lost nowadays. If you know where you’re going, at least. If you don’t have a specific address as a destination, knowing where you are doesn’t really help that much. Which is why my standard habit now is to send a specific street address to colleagues pre-meetings, not just say “The Starbucks near Target”. Remove ambiguity and things should be easier. Sounds like you’re of the same mind but even then, having an address in an email message might not be enough for your sister to be able to get it into a map program. We’ve been talking about how hot it is in Southern California right now – 118F! – which is where his response came from. 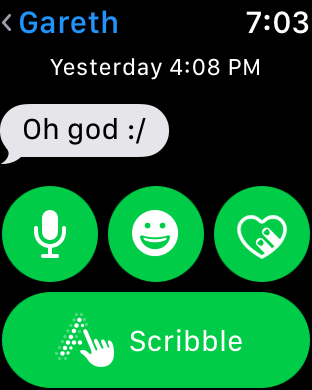 But look at the reply options on the watch face: nothing that suggests you can share your location. 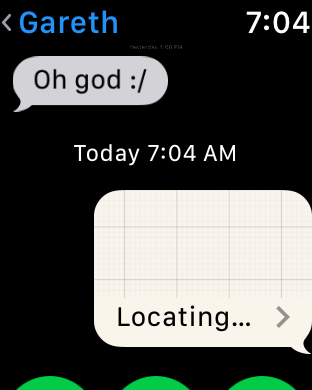 “Send Location” is the one you seek, so tap on it. Note: Can’t get this display? Remember that a “Force Touch” is a harder push of the Watch face. Don’t worry about breaking it, it’s pretty darn strong, just push a bit harder than a normal tap or touch. 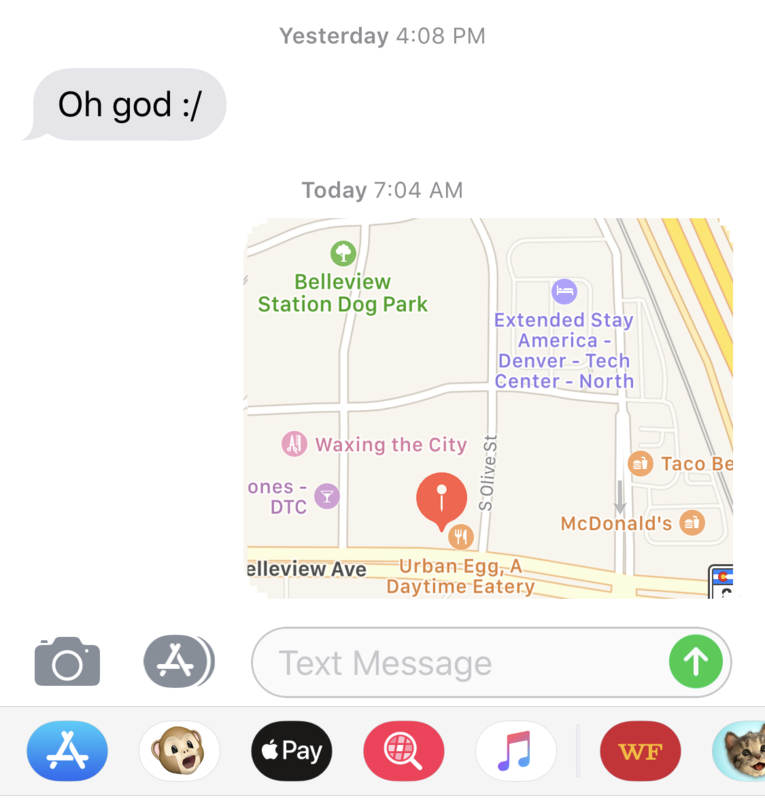 Where this gets super useful, however, is that if she simply taps on the map, it’ll open up in Apple Maps (or Google Maps if she’s on an Android phone, I’m pretty sure) and she’s then one additional tap away from getting driving directions to your exact location. That’s pretty easy, eh? Hope this helps you two out! Pro Tip: Check out all our other Apple Watch help while you’re here too. We have quite a bit.